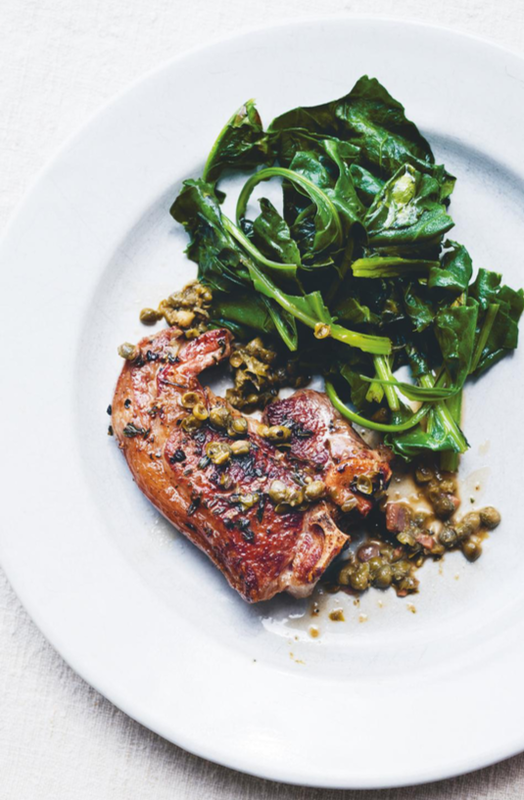 River Cottage head chef, food writer & author Gill Meller's first cookbook 'Gather' promotes the idea of cooking with seasonal, local & the freshest of ingredients. 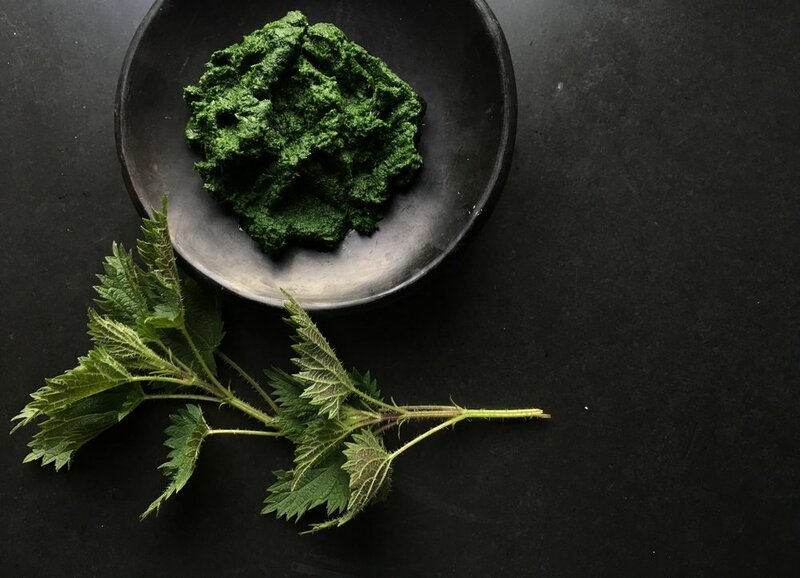 With recipes inspired by the landscape in which he lives and works, his cooking ethos is much akin to fforest's own. Our fourth fforest feast was recently hosted in the big cedar barn, an 8 course meal showcasing the best of seasonal and local from land and sea. Dishes included locally caught crab, wild rabbit, heritage carrots, greens, leaves & herbs from our own fforest gardens and much, much more. We have always aspired to cook with only the freshest ingredients with the idea that our surrounding area, with its bountiful produce, deserves to be celebrated. 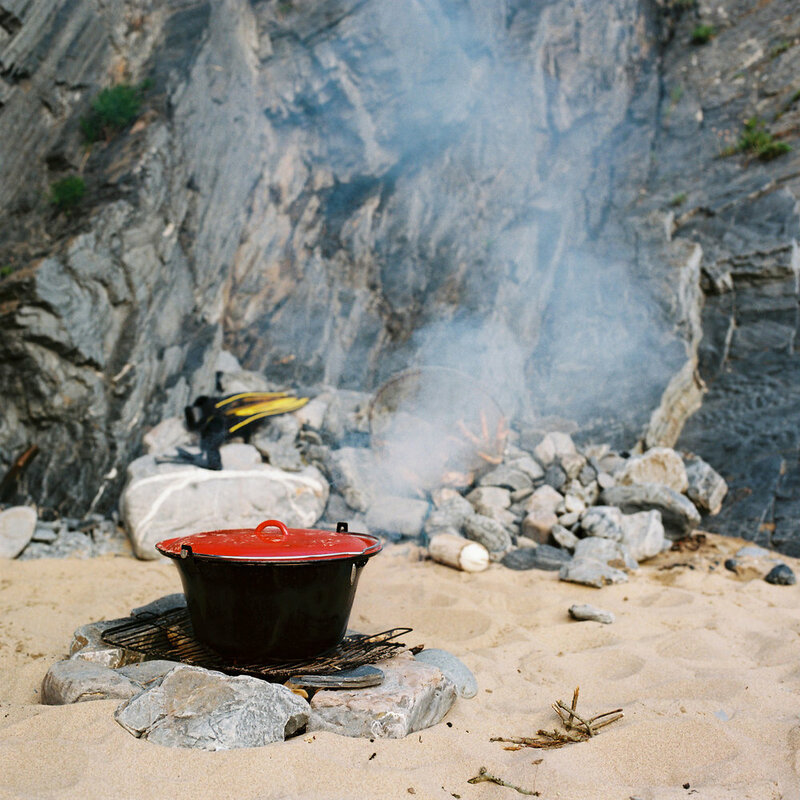 Watch Gill as he cooks barley paella with squid and rabbit on the shores of a nearby beach. A recipe from his book, 'Gather'. Perfect for Christmas; in tarts, brownies, on toast, or as a homemade gift, fforest's chef Michelle has perfected her salted caramel recipe to share with you. Bang in the butter and whisk vigorously, the mixture will rise and spit so be careful! Turn off the heat and let the mixture cool in the pan before pouring into hot sterile jars and sealing. You can choose whichever jars you like for your salted caramel. To sterilise your jars, put them in the dishwasher or hand wash them thoroughly. After washing, use a teatowel to transfer them to an oven preheated to 80°C and leave them in there until completely dry. Remove the jars from the oven and place onto a teatowel, making sure they aren't in contact with cold surfaces, ready for the warm caramel to be poured in. Seal the jars tightly and keep in the fridge for up to two weeks. We love to use this salted caramel recipe in our signature chocolate tarts, a desert we recently served at our fourth fforest feast. Gone in a flash! "I love the idea of being able to preserve the seasons by bottling fruits." Lillie O'Brien is the founder of London Borough of Jam, home of wonderfully weird taste combinations, a shop dedicated to the selling of damn good jam. Greengage & fennel pollen, rhubarb & cardamom, blackberry & bay leaves... These are just a few of Lillie's jam creations. Her flavour combinations may be unusual but her finished products are just the right balance of weird, wonderful, sweet & subtle. Not just a go-to for the jam connoisseurs of London but slowly becoming a major hit overseas too, Lillie's jams are rightfully earning the widespread recognition and high status they deserve. 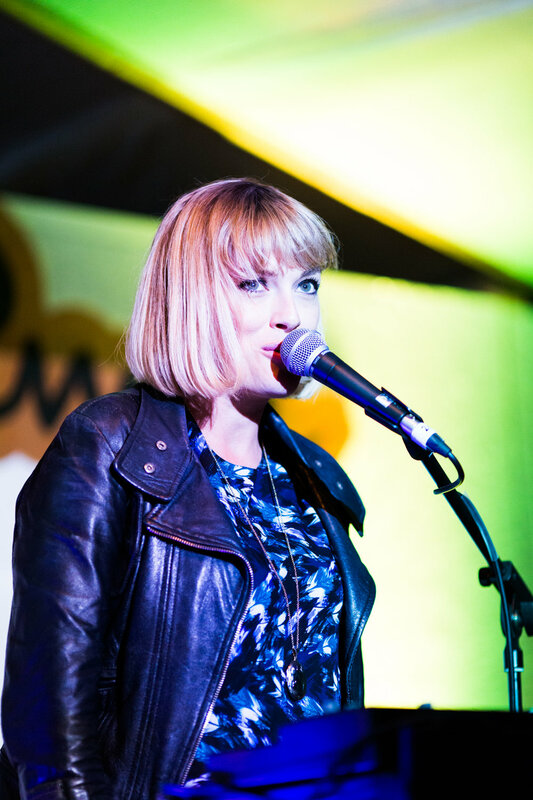 We are so excited to welcome back Lillie to this year's Gather to host another one of her superbly mouth-watering jam workshops. •Toast the cardamom pods in a small skillet over medium heat until they start to pop and turn light brown. Be careful, as they can be quite ‘lively’! Take the pan off the stove and leave to cool. • Once cool, grind the pods in a electric spice grinder or mortar and pestle until the seeds inside have been ground (if using a mortar and pestle, you will need to sieve out the skins of the pods as they wont break down with the pestle). • Mix the ground cardamom with sugar and leave for 24 hours to infuse. • Once you are ready to make the preserves, wash the rhubarb and chop roughly into 5cm pieces. • Place the rhubarb into a heavy based pan with ¼ cup of water and set to medium heat. • Once the Rhubarb has started breaking down slowly add the sugar and lemon juice. Stir to combine. • Bring the Preserve to the boil and cook till setting point 105c. • Take the pan off the stove and leave to rest for 5 minutes, stirring to distribute any bubbles, which will slowly disappear. • Pour into warm sterilized jars, and make sure you sterilize your lids. "A cake should make you feel a little bit magic." The world of weird & wonderful decorations from Cake of Dreams. Your cakes are a delight to look at, each with their own unique decorations yet all with the same distinct style. What’s the inspiration behind the Cake of Dreams look? From glitter cherries to kittens wearing party hats, how do you choose your weird & wonderful decorations? Everything has flowed rather organically. The glitter cherries were one of the first things I came up with, trying to decorate one of my very first cakes. I had this image of a disco ball cherry that I wanted to recreate, so I just experimented until it worked. The animals in party hats evolved from someone asking for something circus themed and I had this image of a Victorian dancing bear in a ruff and a hat, so I built one and after that kept getting requests for different “party animals” in custom getups. Poor little bear… I try not to stray too far from the general vibe of the cakes I have created, but occasionally someone will request something a bit out of my comfort zone and I’ll invent something new and love it. You’ve been a Gather contributor before, what can the Gather guests expect from a Cake of Dreams workshop? Is it kid friendly? I love making food with my own kids, and I think that children can really bring that wonder and magic to decorating that I strive for, so last year I did a kids only workshop where they could just go a bit wild with all the tools I use, and the result was totally gorgeous psychedelic kid-decorated cupcakes that were worth the very lengthy cleaning up afterwards… I also do a class for 15+ to go over icing and decorating big layer cakes, with marginally less glitter and flowers flying through the air, and some secret tips doled out, all very relaxed and with lots of chatting. 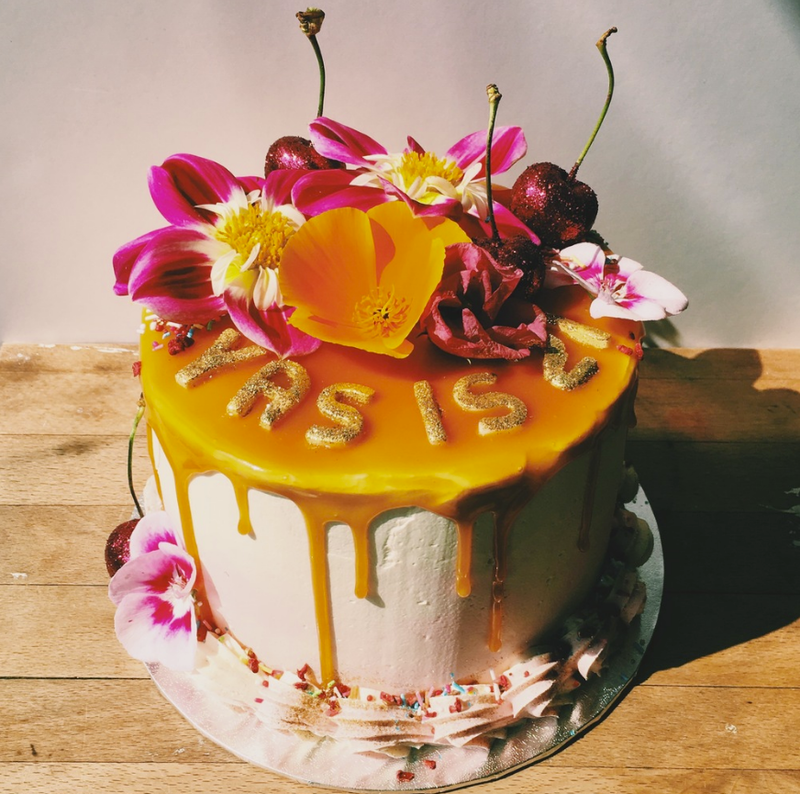 Francesca will be returning to run her cake decorating workshop this Summer at Gather; complete with flowers, foraged fruits from the fforest gardens, edible glitter, jewels, sprinkles, maybe even a couple of unicorns - who knows! Whatever she brings, its bound to be one of the wackiest (& messiest) of all Gather workshops! 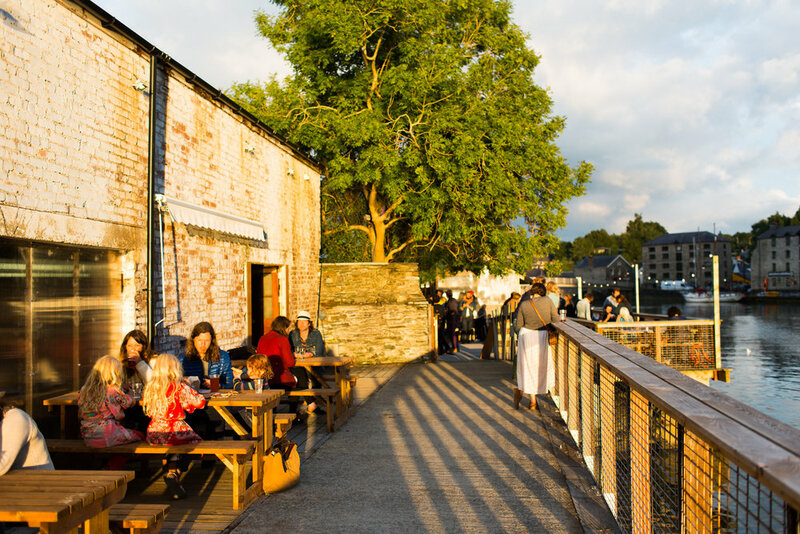 From our riverside location at the heart of Cardigan town, the Pizzatipi Beerfest will be celebrating the best craft brewers in Wales for the third year in a row. The best beers together with great food, roaring fires & fantastic live music. Open to all age groups! After the success of our Barley Saturday event at the end of April we thought we'd give you some information early about our 3rd beer festival at the Pizzatipi, commencing on the 23rd of June. 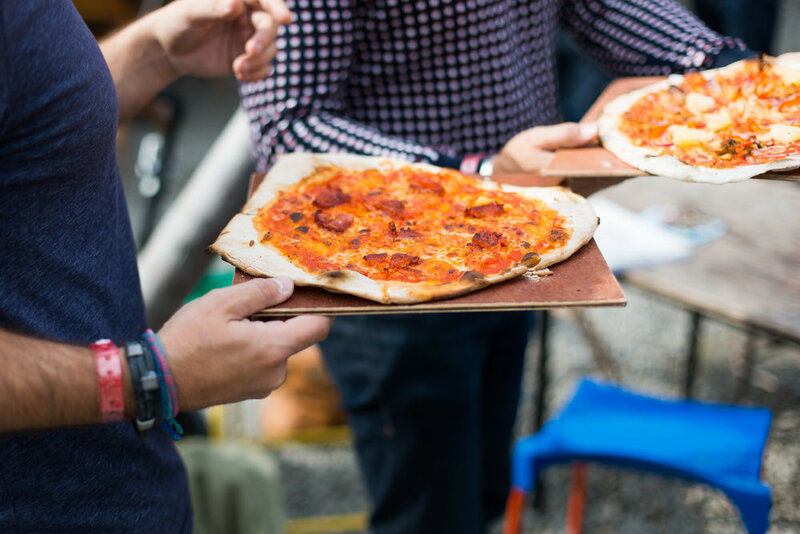 The event marks the grand opening of our busiest time of year at the Pizzatipi and what better way to welcome back the Summer than with plenty of beer, pizza & good times! In 2006 he was a math and physics teacher that started experimenting with hops, malt and yeast back home in his kitchen in Copenhagen. 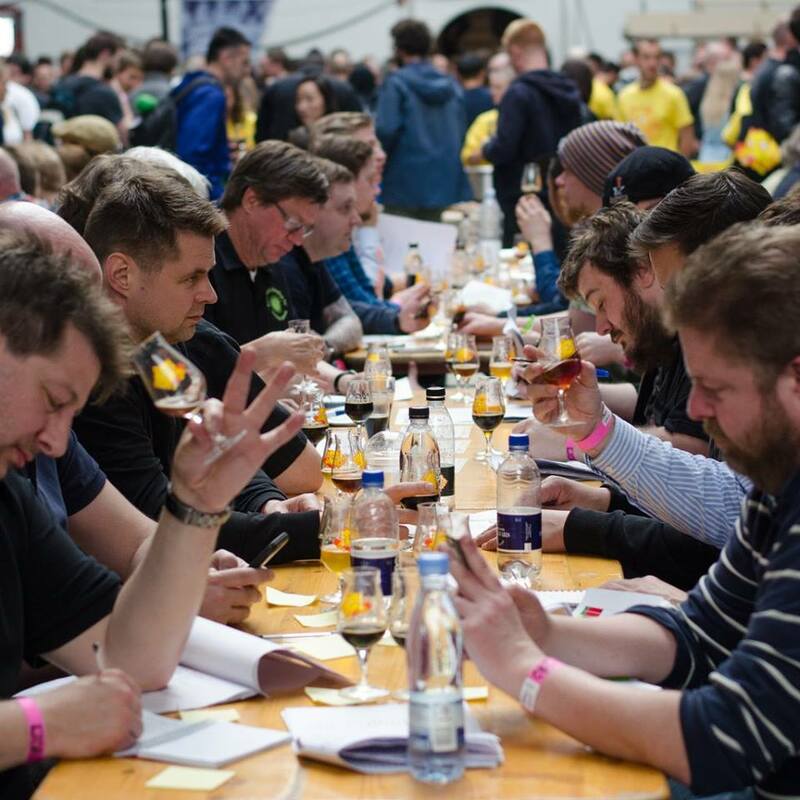 Today Mikkel Borg Bjergsø exports his micro brewed beer to 40 different countries and is internationally acclaimed as one of the most innovative and cutting edge brewers in the world. 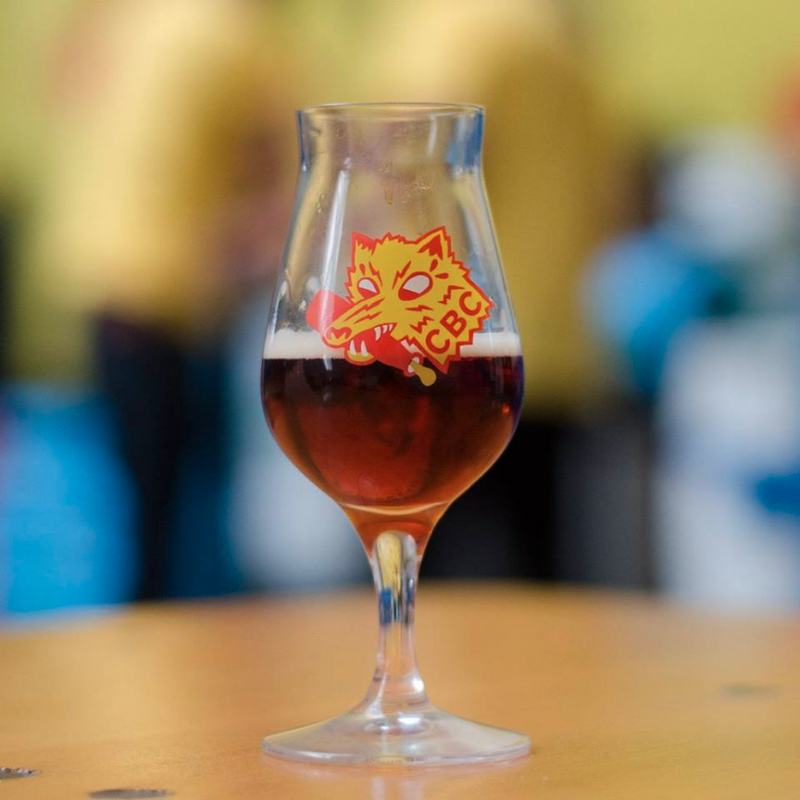 Mikkeller's style of brewing is considered to be unique, since many of its beers are experimental with novel tastes. During its history, Mikkeller has released 800 different beers in a wide variety of styles, including several variations on the same beers. 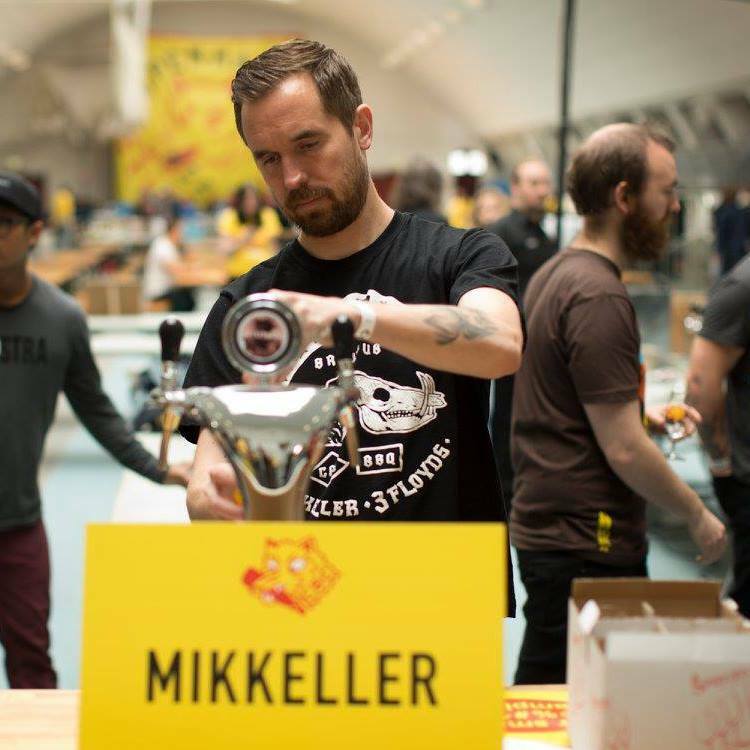 All of the various recipes are engineered at Mikkeller's own facility in Copenhagen but the beers are brewed in collaboration with various breweries, which is why Mikkeller is defined as a 'Microbrewery'. Yet there's nothing micro or small about the level of Mikkeller beer production...altogether, the company's annual output is 17,000 hectolitres of beer! 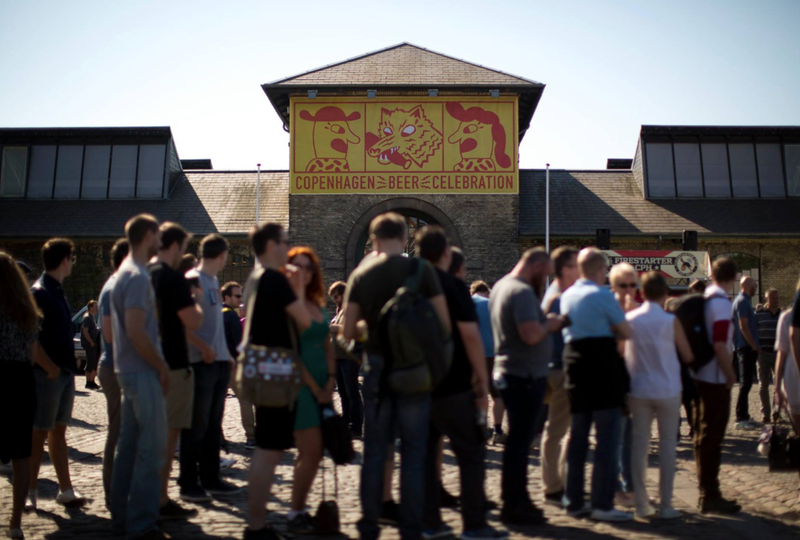 The Mikkeller Beer Celebration was founded in 2012 and takes place each year in May. 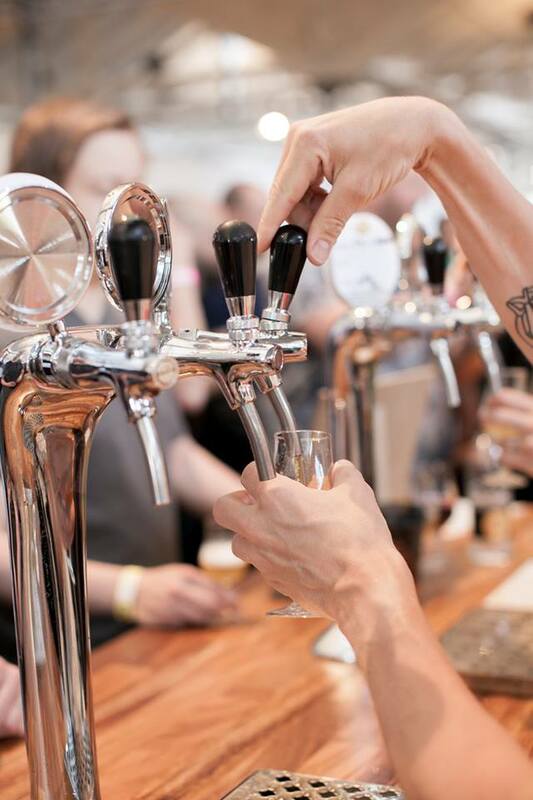 A festival dedicated to great-tasting beer which mainly features small breweries from around the world. 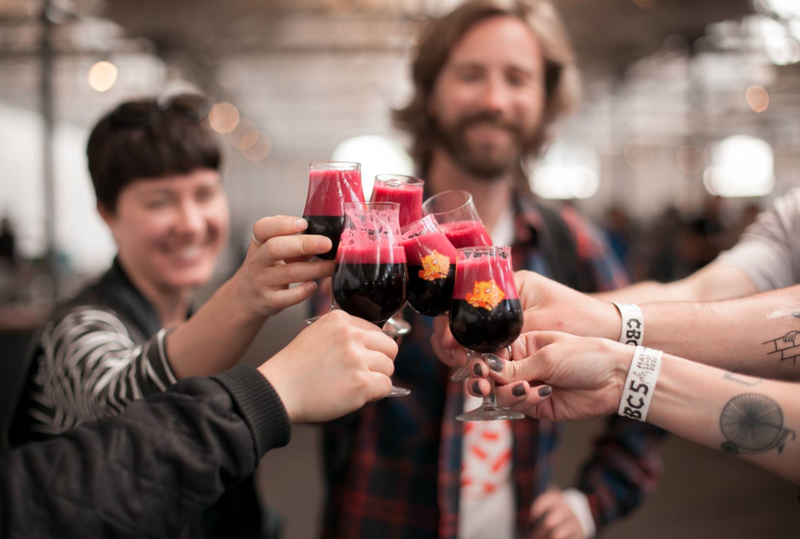 Generally, these breweries use the Celebration to premiere new beers, many create small one-off batches of special beer brewed specifically for the festival. A stone's throw from the shores of Aberporth beach, our BBQ shack is now open weekends throughout Summer. Expect meat skewer plates, fresh potato salads and leaves, flatbreads and handmade burgers all cooked on site in our little beach shack restaurant. Stay tuned for a new website coming soon with plenty of info about opening times and menus, but for now, we'll see you Fridays and Saturdays 4-8pm. Telephone 01239 623633 Website - Coming soon! Mexican street food of the highest and tastiest quality, El Salsa create authentic flavours and wholesome meals all from their mobile trailer kitchen. We're privileged to have them based in west Wales providing fabulously tasty festival-style food throughout the season. Watch this space as El Salsa are moving permanently to the Cardigan area and are hoping to be open from June! The founder, Laura Elsaesser, a qualified professional chef, is committed to sourcing ingredients locally; from farm fresh welsh beef, chicken & pork from the local butcher Golwg y mor in Aberporth, to her own home-grown tomatoes, chillies, tomatillos, salads & herbs. You won't find a fresher, healthier, tastier takeaway than El Salsa's. Follow them on Facebook to find out where to catch them. Our good friends from CRWST have recently expanded their micro bakery and settled roots in Cardigan. Breakfasts, brunches, organic breads & seasonal patisserie style bakes all handmade on site. The people behind Crwst: Osian (the baker) and Catrin (the brain) are a young couple with a refreshing creativity that shows in their baked goods and delicious breakfast/lunch menus. Their cafe deli is a glorious place to sit, eat, relax and browse an abundance of Welsh produce available to purchase on site. CRWST is currently open 6 days a week. The best fish and chips on the west coast, The Beach Hut Llangrannog is a family run chippy & cafe/restaurant. Its location is as close to the sea as you could possibly get, sat inside the cosy restaurant you will feel as if you're dining right on the beach. Open daily throughout the season to grab your fish & chips, a wholesome lunch or a tasty supper, or a tea & a slice of cake if you're just passing through. If you're staying at Manorafon, you could walk the beautiful coastal path from Penbryn to Llangrannog, working up an appetite for The Beach Hut at the finish line. A bakehouse in Cardigan town centre. One of our favourites - freshly baked bread, great food & coffee. Their simple menu is based around their freshly baked sourdough and is constantly changing. In fact, you rarely get the same thing twice. The bread has the crumb, chew and flavour of dreams and we would be lost without it. Daily specials range from seasonal veg-packed soups, fresh fish pâtés, exceptional sarnies & herby salsas, all accompanied by the trademark Bara Menyn breads. Its hard to beat a good homemade brownie, but local baker Nerys brings all the warmth, comfort and deliciousness of great home-baking to the people of Cardigan and beyond. We love her brownies so much that we asked her to collaborate on a new flavour for the Pizzatipi. Nerys has a humbling approach to home-baking and even though she has ridiculous numbers of brownies to bake on a daily basis, she always calls in the help of her two sons to taste-test. Due to popular demand, her bakes are now available to buy online, CBB also attends a regular slot at The Guildhall market in Cardigan, catch Nerys there every Thursday & Saturday from 10am, or come to the Pizzatipi to sample our new flavour! *also known as Cardigan Bay Fish. Len and Mandy Walters have been processing fish and shellfish caught by their own vessels for the past 14 years. 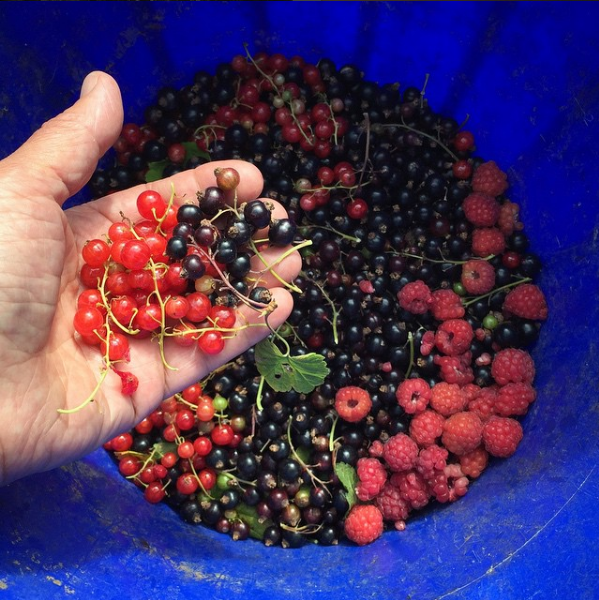 Cardigan Bay is home to a vast array of wonderful fish and shellfish, says Mandy: "Wild bass, lobster, mackerel and crabs are only some of the flavoursome and healthy produce that can be found on our doorstep." And she means that literally, their home in St Dogmeals often opens up to the public when a fresh haul arrives. Villagers listen out for Mandy's voice shouting, "I'm out the back!" But if you've been listening out and have still heard nothing, perhaps a more reliable place to buy from Cardigan Bay Fish is the Local Producers Market in St Dogmeals. There you will find Mandy from 10-1 every Tuesday. A six acre holding situated between Cardigan & St Dogmaels, Glebelands are experts in growing and selling veg. Think farm shop/allotment, this is the perfect place to buy seasonal, locally grown vegetables & leafy greens. Supplier of salad to the Pizzatipi, the freshest of leaves in all shapes, sizes & tastes. We eat the lovely edible orange flowers too. As well as growing and selling luscious produce, Glebelands are also committed to promoting sustainable food production. They offer information to those interested in the vital work of sustainable food production and can give sound advice to those setting up market gardens. Serving light lunches, home baked cakes and great coffee,The Plwmp Tart is a lovely little cafe just down the road from Manorafon camp, and 5 minutes from the beautiful National Trust beach, Penbryn. Its a popular pit-stop for walkers as its on the coastal path route between Penbryn and Llangrannog. They serve ice creams too! We love the St Dogs market. Just up the road from the fforest offices & Granary Lofts, the office elves pay a visit every Tuesday to buy breakfast (the biggest croissants you'll ever see) and sometimes lunch too. 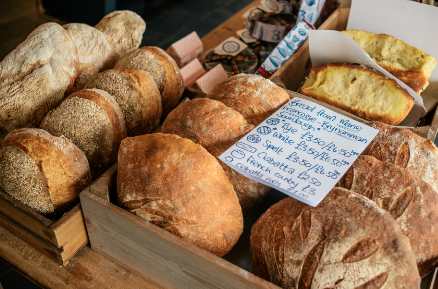 Winner of 'The Best Food Market' at the BBC Food & Farming Awards 2016, St Dogmaels local producers market may be small but to be voted the best in Britain, it has to offer more than just great produce, and it does. Established in 2009 with some financial backing from the Rural Development Project, the founders of the market started their journey by purchasing authentic, high quality market stall units. This is perhaps the first thing you notice upon arrival: the pretty green and white tents that look like they belong at a 1960's fair-ground. Its a welcoming environment thanks to the quaint stalls and happy faces manning them. But of course, the main attraction at this market it the produce on offer. With 18 stalls + additional during the busier Summertime, the market offers a wide range of local produce including quality meats, dairy products, organic vegetables home-baked goods and a variety of plants & flowers. As well as bringing together great local producers and great food, keeping food miles to an absolute minimum, its also a vital social hub for the locals of the surrounding area. A great place for socialising as well as doing your weekly shop, there are volunteer musicians providing live music, cookery demonstrations and outside craft workshops that often feature at the market. These days, its not just the locals that are benefiting from the St Dogs market as people are coming from much further afield to experience the unique atmosphere and to sample some of the best quality local food. Jessica Seaton, a friend of fforest and co-founder of Toast, is launching her new book on the 6th of April. This is a book about landscape and food. 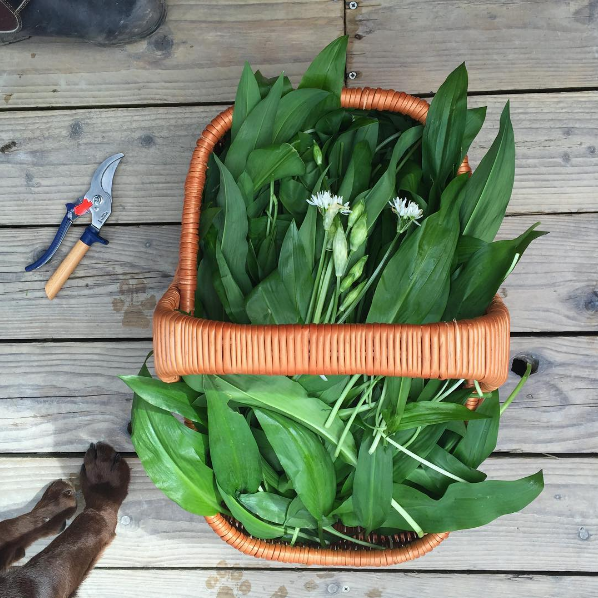 About imagining food that, in some way, both comes from and represents landscape. Gather Cook Feast celebrates the connection between the food that we eat and the land where we live in over 120 recipes. Jessica is inspired to create meals that feel like a place, using the food from our seas, our rivers, our farmland, our gardens and our wild places. Full of simple, seasonal and nourishing recipes like braised shortribs with horseradish, courgette fritters with minted yoghurt, mackerel escabeche with wild fennel, smoked venison sausages with piccalilli vegetables, alongside puddings, preserves and cakes such as bramble and bay jelly pots, apple and walnut soft cake and rose macaroons, this is a book full of recipes to savour, to share, and to sustain. What 3 discs would you bring to fforest and why? 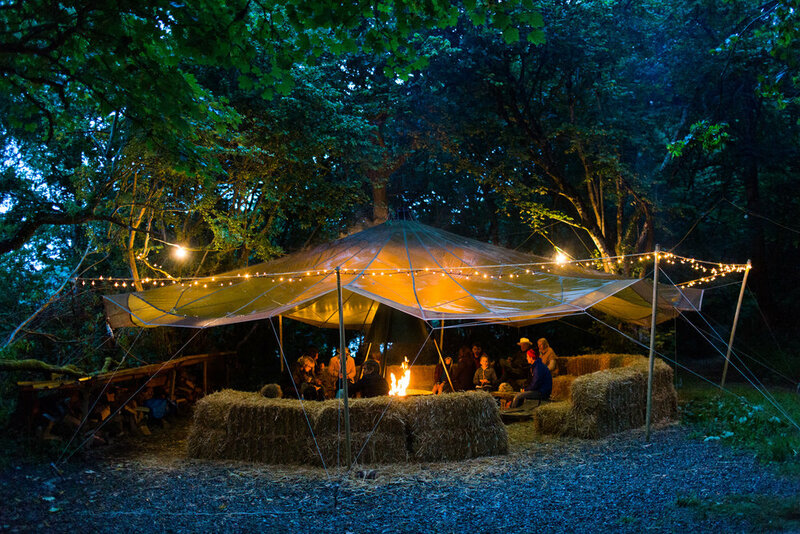 Each night at fforest Gather 2016, we sat outside the Bwthyn and listened to the choices of our contributors. If you are planning on cooking over a fire, fuel choice is more important than normal. You want to use wood that does not smoke much, gives a reasonable heat and burns slowly. Hardwoods such as oak, ash and beech are best for steady heat, as they burn for a long time. Softwoods such as pine will burn faster and hotter, which is not ideal. They also contain more resins, which can create bitter scented smoke. Avoid any wood that is painted or has preservatives (green or orange coloured wood) as this could give off harmful chemicals. The smoke from most hardwoods will add to the flavour. If you can find any fruit woods (such as apple) they can add a distinctive taste too. Whatever fuel you use, it needs to be dry to burn well and reduce smoke. If you are collecting wood locally (again, check local rules), choose wood that's been dead for a while - it will feel relatively light. Alternatively petrol stations, country stores and other local shops often have sacks of ready-to-burn wood. When lighting your fire, avoid the use of paraffin-based firelighters, lighter fluid or petrol - they're going to taste nasty! You can get 'natural' lighters, or just use small tinder such as paper, straw, shavings or small twigs to get the fire going - see the OS Maps beginners guide on lighting a fire for more detail. Once the fire is going, you want it to burn down until there are few big flames. Like a barbecue, you generally cook over hot embers, so once it has reduced a little rake the embers to even them out. You can also pull some hot embers to the side, while keeping the main fire going. 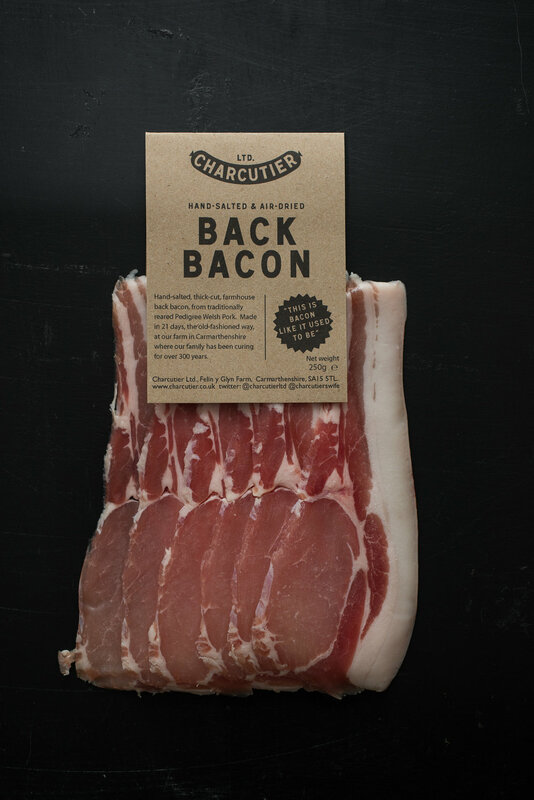 So on your next camping trip leave the BBQ behind and try something a bit more adventurous! When families go camping, most people cook on a BBQ. They are easy to use, easy to light and provide a consistent heat so it’s a great, quick way to cook outdoors. 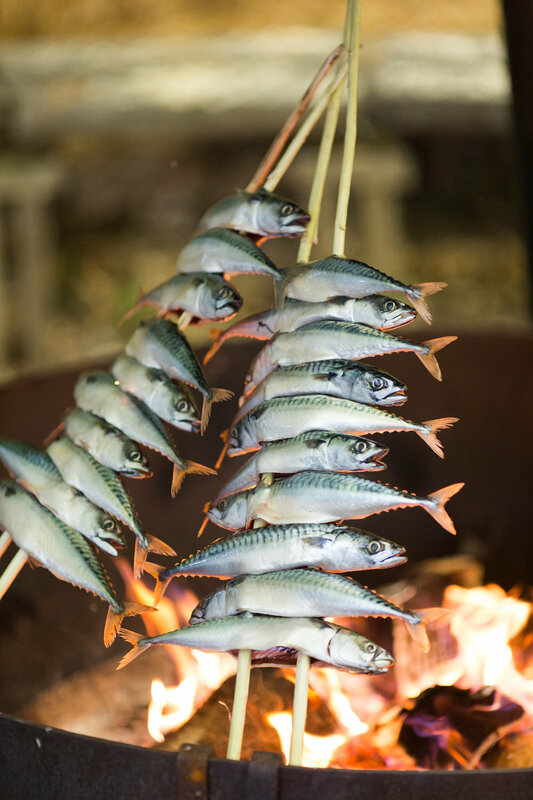 However, there are more fun and interesting ways to cook outdoors so here’s a few ideas for cooking on an open fire you can try on your next camping trip. Cooking on an open fire is a more traditional way of cooking and a skill worth knowing if you don’t have a BBQ to hand. Just like a BBQ, you can cook on a grill over the heat of the fire. With some careful positioning of logs the height of the grill can also be adjusted. You can also put pans and kettles on to heat water and other food items making them very versatile for cooking a complete meal. People have been cooking in iron pots for thousands of years. A Dutch Oven is a cast iron pot that can be placed directly in a fire or hung over a fire using a tripod. They come in different sizes and are great for cooking or heating prepared food. You can also put hot embers on top of the lid to create an oven for baking food. Some makes also have a lid that is designed to be used as a hot plate directly in the fire - excellent for making flat breads. When you’re backpacking or hiking and space is a premium, using a billy can is a great way to heat food to provide simple meals quickly. You can suspend your billy can over an open fire using a tripod or fashion something from any wood you have around you. This is a good technique for baking food items in a fire. Easier to transport than a Dutch Oven and ideal for potatoes, fish, sweetcorn and BBQ bananas! Don’t forget to turn things regularly and check your foil parcels often as it can be easy to burn food. This is real back to basics cooking. Great fun for getting the children involved but you’re not going to get a decent meal out of it. Everyone knows about marshmallows on a stick but you can try cooking bacon for breakfast or donut twisters. You can extend your stick cooking to a horizontal spit so that you can cook something a bit more substantial. Cooking on a spit is very rewarding but it can take time. - It takes at least 20 minutes to get a fire with a hearth that’s suitable for cooking on. - Start too early when the flames are too high and your food will get burnt. - As with a BBQ you can create areas with different heat to cook food and different times. - Fatty foods will drip fat onto the fire and the resulting flames can burn your food. - Get the kids involved and let them help out with preparation, getting wood for the fire and turning the odd sausage. Cafe/ delicatessen in Llanarthne, not far from Carmarthen. From daily baked breads to refillable bottles of wine, a tasty lunch or tasting menu, Wright's food emporium is a treasure trove of quality, local produce. We can't go to Carmarthen without a visit to our friends at Wright's. Simon and Maryanne have brought over 25 years of experience in the restaurant industry to an old pub in the middle of nowhere just outside of Carmarthen. It's not a surprise but with their son Joel and a core of great staff they've created something really special. If you're ever near Carmarthen or on your way to or from us its always worth a pit stop. Cwrw fforest is our very own fforest lager made for us by our good friends at Mantle Brewery just up the road on the Pentood estate in Cardigan. We've been selling it in our 2 pubs the Smwglin and Bwthyn since May 2016. 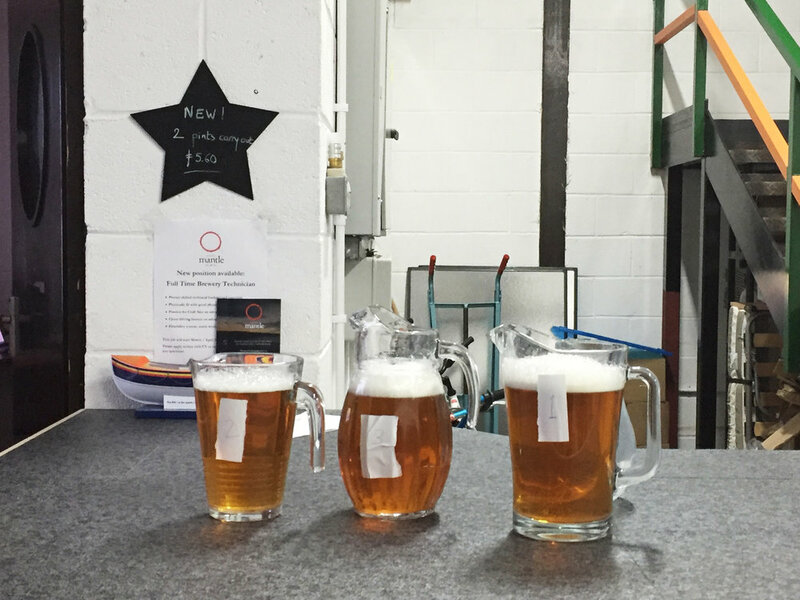 Since we didn't like the lager we could buy from wholesalers we thought we would see if we could make our own. 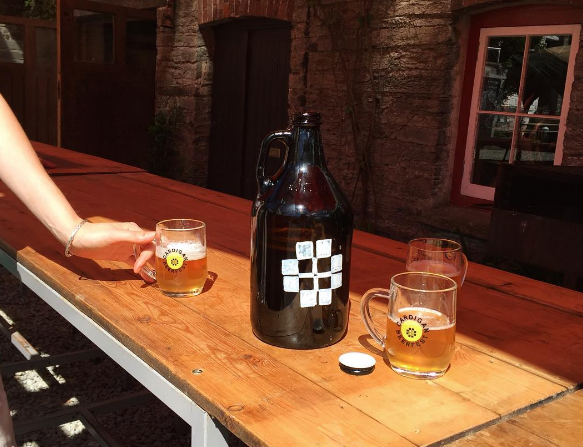 With no knowledge, experience or equipment to brew we popped that idea balloon and called our local brewery. Mantle brewery was set up by Domi and Ian Kimber looking for a change of lifestyle for the family and somewhere to set up a brewery. 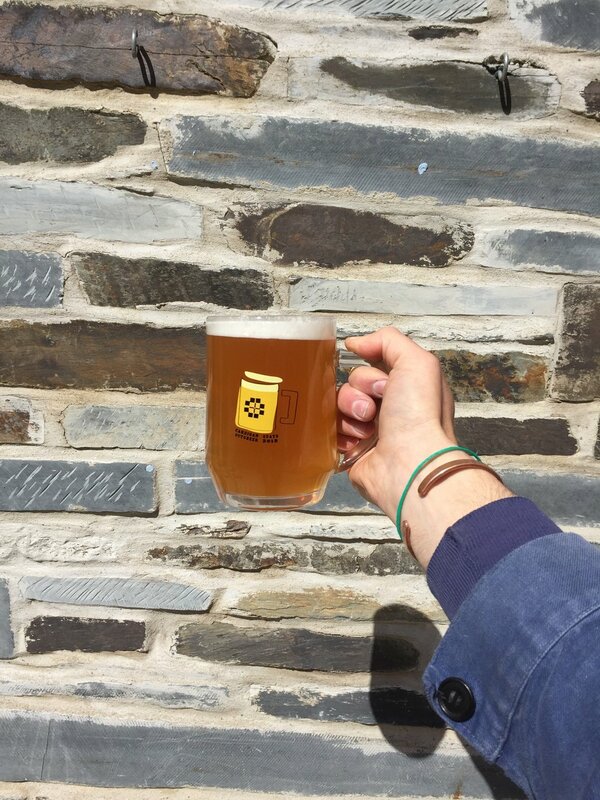 Lucky for us they chose Cardigan and began brewing some stand out traditional Heavys and Milds like Cwrw Teifi and Rock Steady, but the game changer for us was when they brewed what is untechnically a lager called 'Hoodwinked'. We arranged a meeting with Ian on a Friday afternoon and mistakenly took him some trendy hop driven citrus pales. He told us to come back in 2 months for a tasting and to take our beers with us. 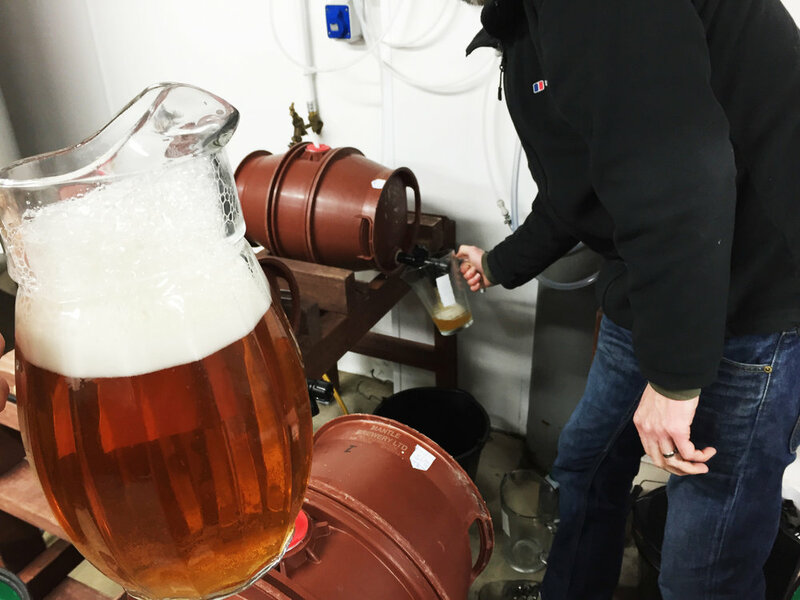 Two months later we took up some of the team for a tour of the brewery and a tasting. We had 3 slight variations to choose from, it was a tricky job. Trying to pick 1 beer whilst having to keep trying all the similar other beers just got us pissed* and we're pretty sure we just guessed in the end but we couldn't go wrong. We finished them all and started to get really excited, so we put in a massive order. After the first week of sales we quickly realised our order wasn't massive enough, the kegs were flying out so we doubled it. *Edit - Apparently I was the only one pissed and it was a very democratic and scientific process. 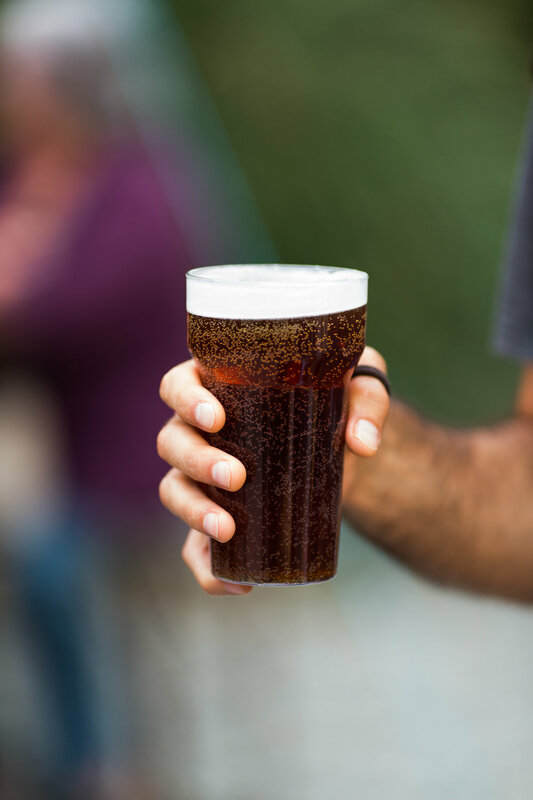 The beer is golden, hazed, fizzy and drinks like nectar. We can get away with calling it a 'craft lager' (whatever that means) and we've persuaded a few Prosecco drinkers to try a half but not turned any yet. Last season we went through 226 Kegs of beer, thats 6,780L of beer, 12200 pints and an average of 81 pints per day... This year we hope to get through 300 kegs. If you would like to come help, 'Cwrw fforest' will be on sale in both our pubs at the Pizzatipi on the Quayside in Cardigan and in 'Y Bwthyn' at fforest farm. A big thanks to Mantle brewery. 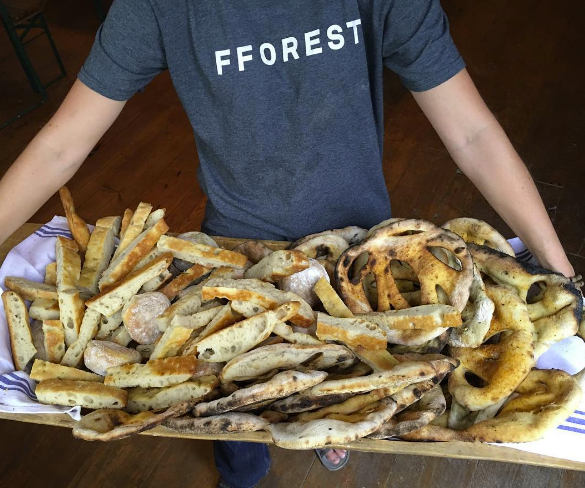 Up the hill from our Pizzatipi restaurant and a favourite lunch stop for the fforest elves, the Bara Menyn bakehouse was opened by Jack Smylie Wild in 2016 as a sourdough bakery but soon realised it could be more. Their simple menu is based around their freshly baked sourdough and is constantly changing. In fact, you rarely get the same thing twice. The bread has the crumb, chew and flavour of dreams and we would be lost without it. The seed that would eventually become Bara Menyn was sown years ago, when I had plenty of time on my hands, few job prospects in rural West Wales and poor local bread. There wasn’t much to do all day apart from drinking tea and eating toast, but even that was becoming increasingly difficult: “I can’t eat this stuff anymore,” I said to Seren, “shall we start buying something nicer?” I was referring to the thinly-sliced, yeasty white loaves we had both got into the habit of picking up from the village shop. To be fair, it was the best stuff available: at least it was independent, Welsh bread, which was fresher and less carbon-guilty than well-known, branded supermarket loaves. Still, it contained additives, dissolved instantly in the mouth, and was made as quickly and cheaply as possible, without love, by machines. “There isn’t anything better around. Why don’t you learn to make your own?” came her reply. I thought about it for a second. “Actually,” I said, “you’re right – why don’t I know how to make bread? 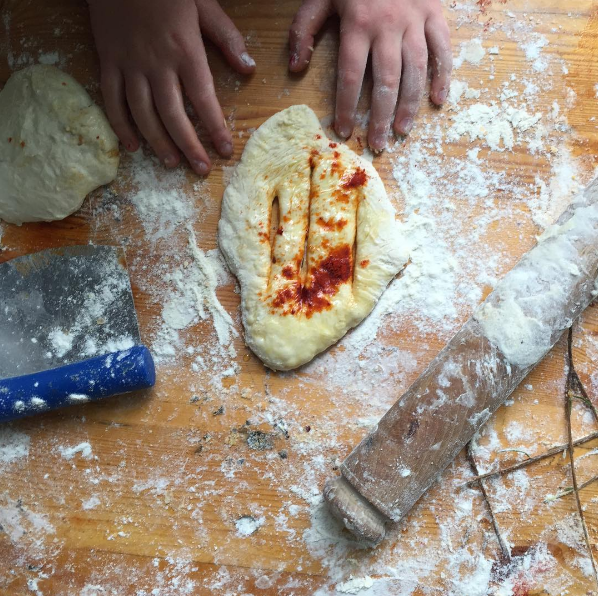 Surely everyone should know how to make bread?” It was a moment of realisation: this most basic of foodstuffs, the staff of life, made in myriad ways every moment across the globe – yet I had no real idea of how it was made; or rather, how I myself might go about making it at home. So the challenge was on. I was sceptical at first – making money from bread is notoriously difficult, and I lacked the kit to make it on any sort of larger scale. The idea, however, of being my own boss; of working with this mysterious, living substance that gave the fingertips such pleasure as it became steadily silkier and smoother on the workbench; the idea of the satisfaction to be found in nourishing people with honest, healthy, delicious bread; the idea, as well, after years of abstract academia (I studied philosophy at Cardiff), of shifting focus from the head to the hands, turning from the matters of the mind to the matter of the soil and the seasons, its fruits and its seeds – all these ideas germinated and began to take hold. So I started a small micro-bakery from home, which was ultimately unprofitable, but nonetheless satisfying and educational. During that time I got my hands on a copy of Tartine Bread and began experimenting with sourdough, which soon became an obsession. 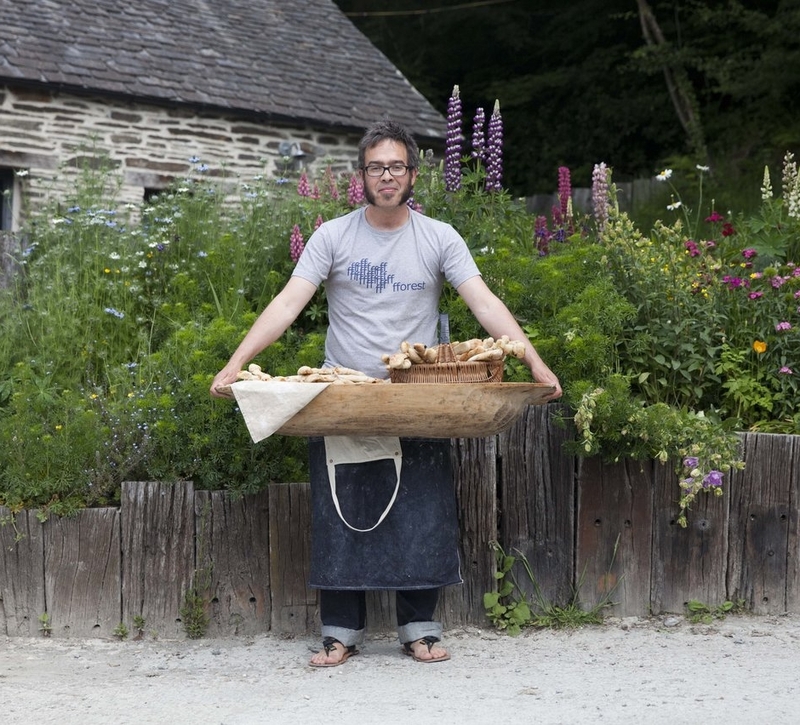 These experiences of slow-fermentation breads and artisan processes soon got me a job in a brand-new bakery further up the Teifi valley in Lampeter, where the owners of The Organic Fresh Food Company – Ben and Lucy – had bitten the bullet and built a small bakehouse, in a spare room attached to their farm shop. 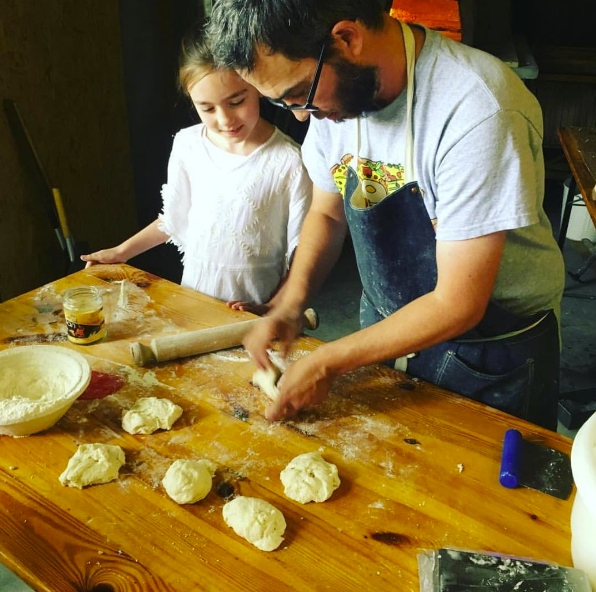 They had developed a couple of good sourdough recipes – all they needed now to get the business off the ground was someone passionate about sourdough. After six months of searching for such a baker, a moment of serendipity brought me to their doorstep, and for half a year I toiled away in a flurry of flour, wild yeasts and scorching ovens, earning a few mandatory burns and blisters along the way. Under the guidance of Ben and Lucy, I cut my teeth, and my passion grew; but the 2am awakenings were never going to become natural or easy, and besides, seeing a young couple running a successful business inspired me and gave me more dangerous ideas. So in the late summer of 2014 I was again jobless and wondering what might become of me. I was writing lots, and getting some things published here and there, but my wallet was (literally) empty, and as most of us know, that gets pretty boring. It seemed natural then – with this newly acquired dough addiction – to try and go it alone and start a bakery of my own – maybe not on the scale of Ben and Lucy’s – but certainly comprising a more professional outfit than my previous micro-bakery, which really was more of a nano-bakery (or even more accurately: someone making bread in their kitchen and selling it). I drove into Cardigan that same day. The shop and gallery she was talking about was Custom House, and the woman was Karina. I introduced myself, mentioned my discussion with our mutual friend, and she led me through to the building next door – number 45 – where she housed her larger items of art and furniture. I stared up at the amazingly high ceiling, at the old stone walls and wooden floor; at the huge glass windows. 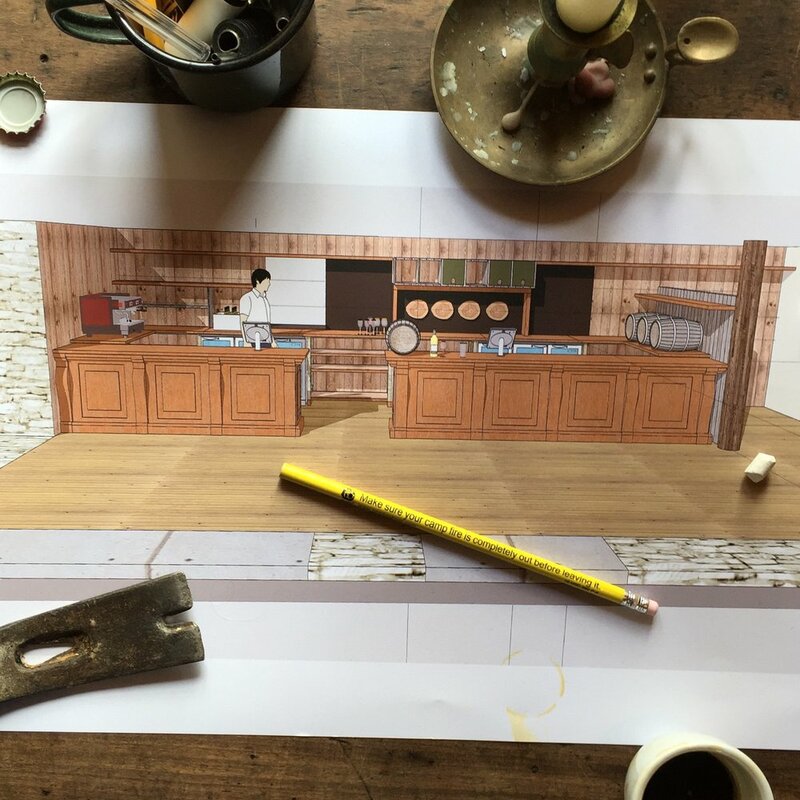 I instantly began to dream – although this time it was more of a vision – I could see the potential, I could picture the bakery, I could almost smell the bread and see the customers coming in through the big wooden doors to collect it. Driving home I knew that it had been a dangerous imagining – and a dangerous encounter – because a seed had not only been planted – more than that, it was already growing and branching out into the field of actuality – the ball was rolling; and I was terrified. The space was too large for just a bakery; too large for me alone; it would have to house something beyond my humble bread, beyond my own capabilities and imagination. So I was walking into the unknown from day one. I had to trust…..And the people who leant me money had to trust me….And Karina had to trust me…..And Seren had to trust me….And I had to trust in myself. But also from day one came support, in abundance; everyone was willing to help in whatever way they could. My dad came down to decorate; my mum made signage and fliers and artwork for the walls; my best friends came to wash up; other friends lent bits of cash in the face of my naïve budgeting plan; Anna, a friend and waitress, persuaded her brother Tom to come and be our chef; Seren ‘washed my pants’ – a term we’ve come to consider as a metaphor for keeping everything flowing smoothly behind the scenes; Karina was endlessly supportive in endless ways; my mother-in-law took on managing front of house; friendly, lovely people arrived asking for work…..And out of the chaos a business slowly began to emerge and find its feet. Seren said I’d laid an egg – well, the chick has hatched, and now we’ve got a whole family of wonderful people – staff, customers, suppliers – who keep it alive and kicking and flourishing…..and people really do come through those big wooden doors to collect our bread, drink our coffee and eat our food…. This recipe has been secret for more than 10 years. However, after finding a disgruntled ex-fforest elf has passed the recipe to Wikileaks (Julian looks like he needs some roughage), we felt we had little choice but to publish it. Before fforest began and we were talking about how it could be and what we would do, breakfast was always going to be included as part of staying here. I love breakfast and can't go without it, not a massive fry up, but boiled egg and dippy soldiers, toast and honey, granola, banana and yogurt kind of thing. A simple yet satisfying start to the day. We have been making granola to this recipe for ten years now at fforest and it has been on the menu since day one. We also have a really good muesli but it's the granola that is the firm favourite. Sometimes we can't keep up with demand and have to make it on a daily basis. It's the perfect mix of oats and nuts/seeds and the way it’s cooked guarantees a super-crunchy outcome. Crunchy is what we love about it and crunchy it is. We have often been asked for the recipe, so now here it is, ten years of tried and tested, delicious and easy to make fforest Granola. The recipe is adapted from Madhur Jaffrey's World Vegetarian. It's a simple, not-too-sweet granola that's good with milk or yogurt and added fresh fruit. Because this recipe uses water, the granola takes an extremely long time to dry out. If the granola isn't completely dry by the end of the baking time, I suggest turning off the oven and leaving it to cool. To get the crunch it has to be properly dry. Remove from heat and pour the liquid over the grains and mix until all the oats are moistened. Roughly spread out on the tray and bake in the oven for20 minutes at 180C. Take out and stir and lower heat to 140.C and cook for another 45 minutes, stirring every 15 minutes. Turn down the heat to 120.C and bake for 30 mins turning every10 minutes. If you think it needs to cook more to be dried out, leave it in at 110C until it appears dry and golden. Remove from the oven and toss it a few times until it cools completely and then add the dried fruits. "After realising the simplicity of draft dispensing and frustration of the family & I having to walk to the local pub whilst staying at fforest over the festive period I had an epiphany..."
Tap 1 (Dinner) - Buxton Brewery's 'Rednik stout'- a deep fruity Stout full of solid flavour but only 4.1%. You could session on it with the sensation of gorging a kilo of Cadburys fruit and nut without the guilt or hangover. Tap 2 (Lunch) - Beavertown Brewery's 'Gamma Ray', a big hoppy session pale ale. A contemporary classic, one of the best. Tap 3 (Breakfast) - Buxton x Lervig Brewery's 'Trolltunga', a Gooseberry IPA! Forget the coffee this is a zinger but not just a slap in the face, the IPA is a soothing kiss on the forehead. 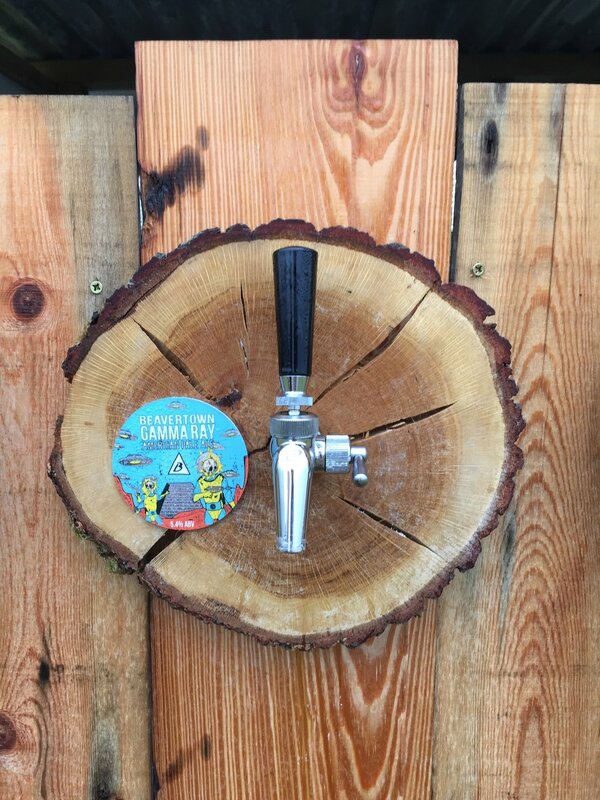 Tap 4 (all day) - Mantle Brewery's 'Cwrw fforest', beer made from trees especially for us. This potion is most like a lager but not technically a lager. Its crisp and refreshing and only 4%... all though it always feels like 6. We're really proud of this one. 'PART 2: BEER STALKING' Coming soon.